Create a classic LEGO® Ideas Ship in a Bottle! 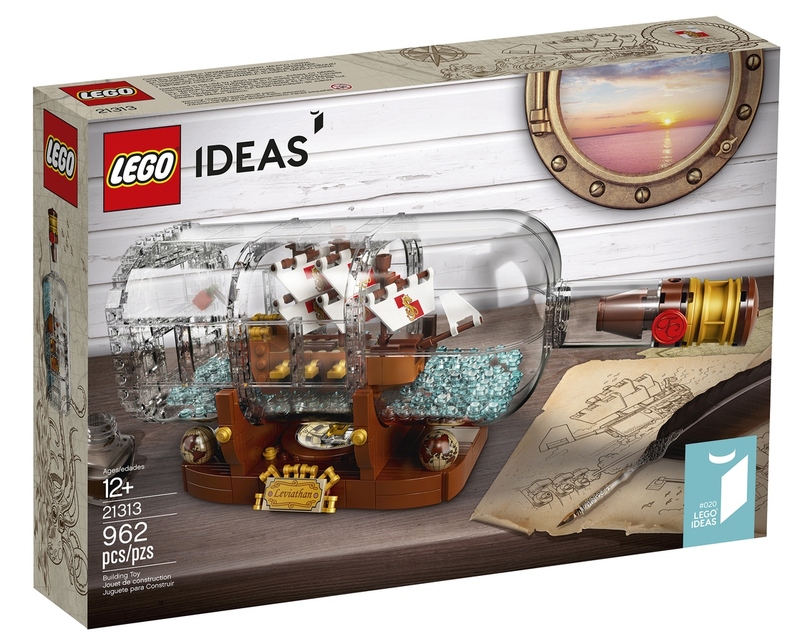 With great pleasure, we can finally show off the first official images of the LEGO Ideas 21313 Ship in a Bottle set designed by LEGO Ideas member Jake Sadovich (a.k.a. JakeSadovich77) from the USA. 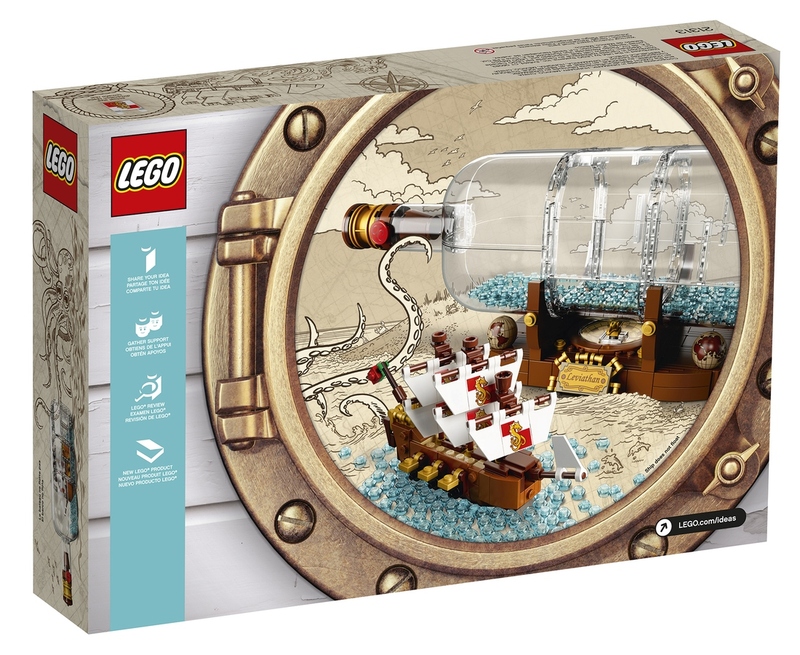 The 962 LEGO element Ship in a Bottle set will officially wash ashore and make its way to store shelves on the 1st of February, 2018 for a recommended retail price of USD/Euro*/GBP 69.99. We also have the distinct pleasure to announce that we'll be a holding a special fan designer signing and pre-release event on the 27th January, 2018, where Jake will join us to sign copies of his new LEGO set! More details below. Jake Sadovich initially came upon the idea and challenge of building a LEGO ship in a bottle after having completed an actual ship in a bottle build a few years ago. After running into, and overcoming, a few small building challenges Jake submitted his model in November 2016 at which point strong winds carried it to its 10,000 supporter milestone in a short 2 months. Jakes's joy at getting this far was apparent. It was "Awesome and kind of strange. Excitement at reaching the 10K mark, and in just 48 days! A great feeling of satisfaction that so many people liked my creation and gratitude that they took the time to support it and make this happen. ", he said. You can learn much more about Jake Sadovich and his project in his 10K Club Interview. 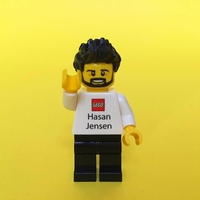 LEGO® Designer Tiago Catarino and LEGO Graphic Designer Mark Tranter were thrilled to help refine Jake's model into the official LEGO set that's ready for store shelves. Tiago was really excited to be a part of the project as "There was room to do some crazy building techniques and sneak in some elements in cool colors, as well as bringing back some really old ones that we hope the fans will enjoy!" From a graphical perspective, Mark also enjoyed the challenge "It was great working on the new sail. We wanted it to resemble the flag that Jake used in his model, with the old LEGO Castle lion emblem, so it was a lot of fun designing a sea monster with this look in mind and trying to give it a classic LEGO feel but with a more modern LEGO style. I’m very happy with it"
To celebrate the upcoming release of the Ship in a Bottle set we're happy to have fan designer Jake Sadovich join us to sign sets at this exclusive pre-release event. Location: LEGO Store, Murray, Utah. Find it on the map.